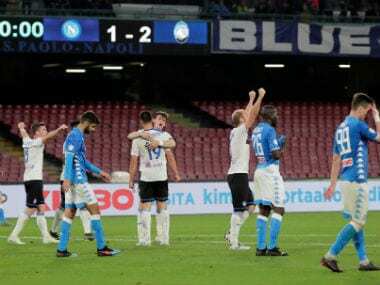 Milan: Footballers are not afraid to cry, Nikola Kalinic is a hat-trick hero, Higuain can't do it on his own, De Boer is on borrowed time, and goalline technology is not perfect. Here are five things we learned in Serie A last weekend. 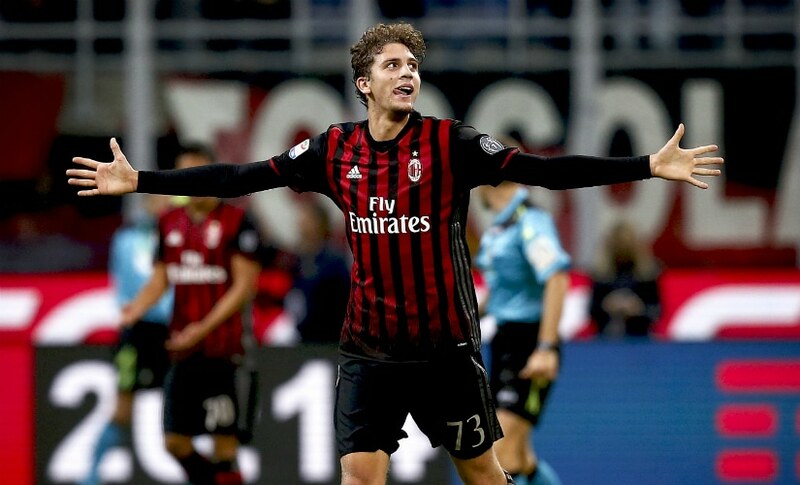 Italian footballers may have a reputation for the occasional theatrics, but when it comes to real-life emotions few have matched AC Milan midfielder Manuel Locatelli this season -- and he doesn't care who sees him. 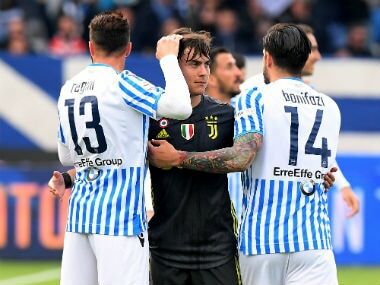 Locatelli hit the headlines two weeks ago when he scored a superb goal in a 4-3 win over Sassuolo and was so emotional at the end of the game that teammates had to help him regain composure as he wept uncontrollably in front of the television cameras. A 65th minute screamer by Locatelli on Saturday, when the San Siro hosted nearly 76,000 fans, beat legendary Juventus goalkeeper Gianluigi Buffon and earned a precious 1-0 win over the champions. Although the 18-year-old midfield ace kept the flow of tears to a trickle this time, he admitted: "The way I react is the way I react, and for me that's fine." Croatia international Nikola Kalinic wowed most of Serie A with his goalscoring exploits for Fiorentina last season, when he notably hit a hat-trick in a 4-1 rout of Inter Milan. On Sunday, the gangly striker confirmed that was no fluke on his way to scoring his second hat-trick for La Viola in a 5-3 win at Cagliari that was generous to the Sardinians. Kalinic pulled La Viola level on 20 minutes after a perfect run behind the hosts' defence to send a glancing header past Marco Storari. After turning provider with a superb assist for Federico Bernardeschi, Kalinic fired an unstoppable curler past Storari then rose unchallenged to send a powerful header past Storari from 10 yards out. For many, Juventus's capture of Gonzalo Higuain from Napoli in the close season for a whopping €90 million signalled the end of the title race. 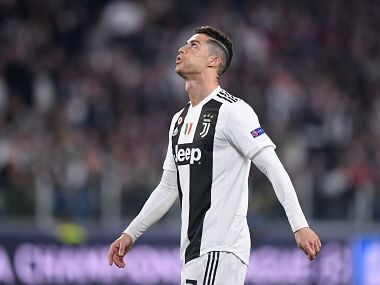 But the Argentine striker who hit a record 36 goals for the Azzurri last season is yet to fire on all cylinders for the five-time consecutive champions, and has looked out of sorts lately. 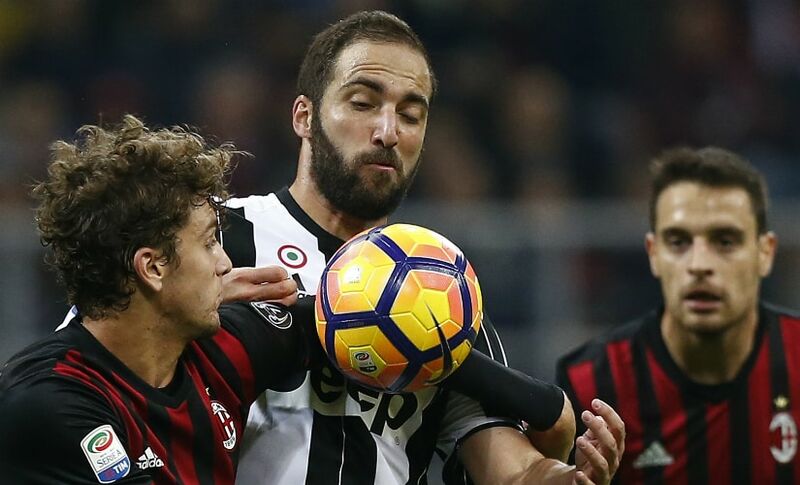 Higuain had comparatively poor service at the head of Juve's attack against a determined AC Milan at a packed San Siro on Saturday, where he played alongside compatriot Paulo Dybala, until his replacement, through injury, by Juan Cuadrado on 33 minutes. Higuain played the full 90 minutes but failed to add to his six-goal league tally after nine games. Inter Milan had not suffered three league defeats on the trot since 2013 when former coach Andrea Stramaccioni was at the helm, but Frank De Boer believes he can weather the storm to hang on to his job for another week. "I don't know what's happening (behind the scenes), I am here and I'll be analysing this match to prepare better for the ones coming up, hopefully with a view towards beating Torino," De Boer said after a 2-1 defeat at Atalanta. Inter struggled throughout the away clash but looked to be heading for a share of the spoils when Eder's 50th minute free kick levelled Andrea Masiello's 10th minute opener. A Mauricio Pinilla penalty two minutes from time handed Atalanta a deserved victory, and left De Boer facing the wrath of Inter's Chinese owners Suning on Wednesday. Time to review GLT ? Goal-line technology is being used in Serie A for the first time this season, but the hi-tech system designed to avoid goal-line controversy could be set for review after suffering a rare blip in the Genoa derby. The entire stadium was left befuddled towards the end of the first half when match referee Paolo Tagliavento stopped play for several minutes to ascertain if a powerful header by Sampdoria defender Matias Silvestre, which rattled off the Genoa crossbar to bounce in front of the goal line, had crossed the line or not. Six of the seven watches worn by the various match officials had vibrated to signal the goal. The only watch not to vibrate was Tagliavento's. A quick check with the Hawk-Eye controller confirmed that Silvestre's effort was at least a foot away from the goalline.